Social platforms have a great effect on our lives and in the current society, there is not a single person who doesn’t use social media or social platforms. At first, the only use of the social media was to just stay in touch with one another virtually. But now, social media can be used for many purposes and mostly it can be very effective if you are a business individual or organization. Because if you have developed a product, with the help of the social media you can do the marketing very easily and within a very less effort, you can reach thousands of customers by just sharing your products into the social media. 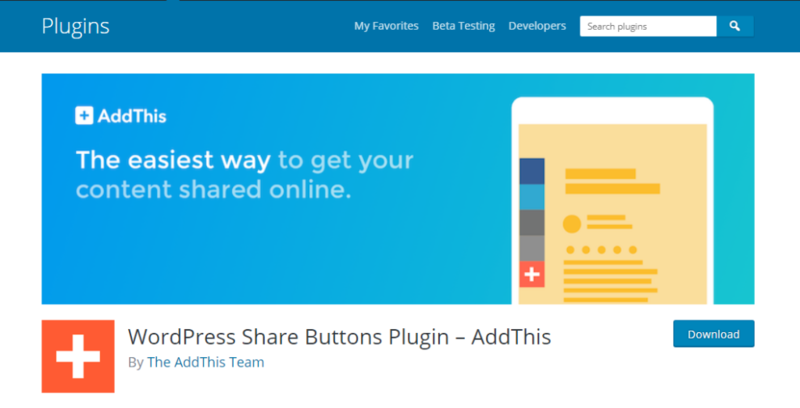 AddThis is an absolutely free WordPress share buttons plugin and with the help of this plugin, it is possible for the users to share your content around the web in different social media. This plugin allows you to connect over 200 social channels with the share buttons which loads very fast. You can share your content into all the popular social media platforms including Facebook, Twitter, Pinterest, Messenger, WhatsApp, and many others. These plugin buttons are very professionally designed, quick to load, and very beautiful to look. The buttons are fully functional and they respond as soon as they are clicked. So anyone can share your content very quickly within a few moments. The share buttons are of four types which are Floating Share Buttons, Expanding Share Buttons, Inline Share Buttons, and Image sharing buttons. The floating share buttons are placed on the side of your page and follow as you scroll. The expanding share buttons expand with a hover or a click. The inline share buttons integrate into your own content. And lastly, the Image Sharing Buttons adjusts image sharing into your content. 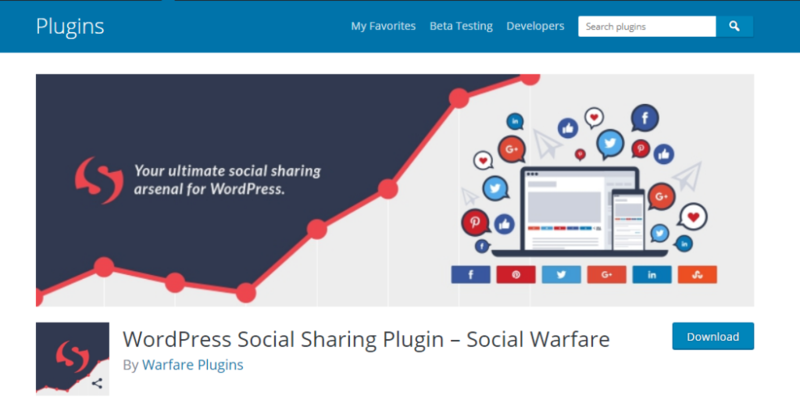 Social Warfare is one of the best WordPress social sharing plugins when it comes to social sharing. It can help you to get more traffic for your website by sharing your content and get more visitors. It has been built by a group of social media marketing experts themselves which makes this plugin very reliable. It is also very attractive in design and has the full functionalities according to your needs. That is why, this plugin exactly works the way you expect and some of the plugins may slow down your website, but it doesn’t affect your website speed. The attractive share buttons in this plugin fits automatically to your screen resolution. You can share your content to all the most popular social media like Facebook, Twitter, Google+, Pinterest, LinkedIn, StumbleUpon and more. You will also have the freedom to place the button either above the post content, below the post content, both above and below the post content, or you can place it manually to anywhere. 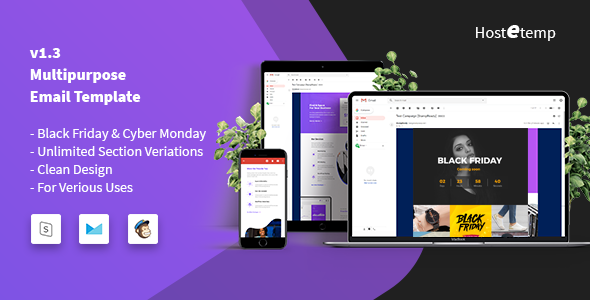 MashShare is a completely free WordPress plugin which is professional, unique and attractively designed which can share your website content to any of the popular social media instantly. 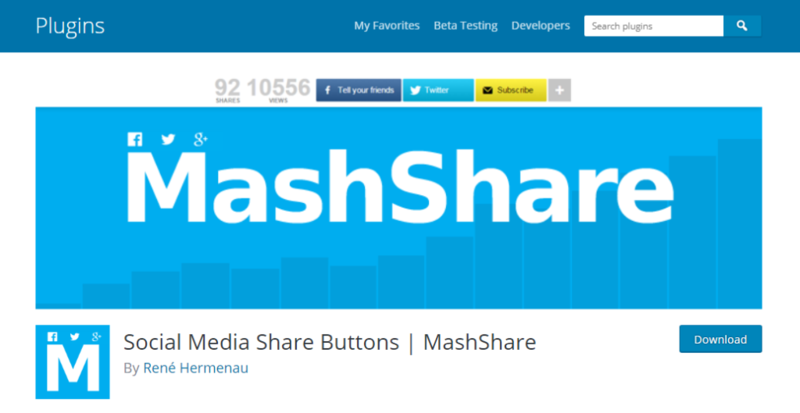 It can be highly customized and you can choose which social media share buttons you want to keep. It has been developed with advanced technologies which will stop slowing down your website and prevent the fall of website ranking. 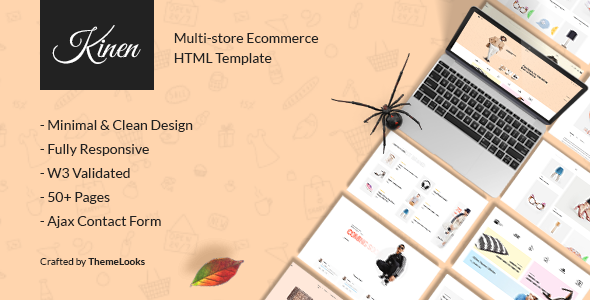 It is not dependent on any external scripts and that is why it has faster loading times than most of the third party plugins available and it also ensures the privacy of your visitors. All the social media icons and share buttons have high performance and are very easy to use. You can also show the total social media share count instantly. You can also disable this functionality just with a click. It is extensible with many other add-ons like the Google Analytics, YouTube video share and more. Several filters and actions make it developer friendly. You can also change the color of the share counts form the settings. Monarch is a WordPress plugin that has the functionality of social media share and follows buttons by which you can easily share your website content to any of the social media. 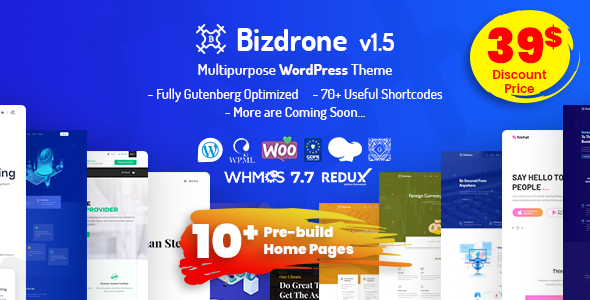 It is totally ready to be used and you just need to install and activate it to your WordPress website. And after installing it, the next step is to set up the social sharing button. This plugin gives you, total five locations for you to set your social sharing buttons which are on the sidebar, inline, or it will be displayed like a popup, fly in or on your actual media files. So you have the complete freedom to choose the button location and start using them. It is also possible to adjust the design and the behavior of the buttons. It has a huge collection of networks to choose from and to set up your networks, you simply need to tick the networks you want to add and it’s done. You can also change the network’s label too. And with the social follow buttons, your visitors can follow you right from your website. This is probably the best and simplest to use social media share plugin for WordPress websites. It has the custom built-in icons to choose from and supports any of the popular social media like Facebook, Twitter, LinkedIn, Pinterest, Google Plus, Flint and more. You will get the freedom to turn them off or on separately. It has a simple user interface will full features and functionalities. You can now display the number of counts right next to the social network icon which is very innovative. The floating bar can also be enabled or disabled anytime and the shape of the floating bar’s social icons can be changed. You can now add social identities and by adding the click to tweet button, you can instantly create a tweet from your content. The style of the article bar group is also changeable and you can enable different add-ons with it to add more functionality like the Google Analytics. And to make it look impressive, it has a total of four different skins and different styles like the default style, the square style, the shift style, and the pill style. The social icons can be displayed either before the content or after the content or even you can set both at the same time. And of course, it has amazing loading speed which will impress you easily.